For those of you who read last week’s post, we did just fine on the fair audit AND we finished it in one, very stressful, day. Yay! We’re lining ourselves up to get the 2016 fair planned. If you live in my town, I have several openings for volunteers! If you’re interested in our fair, check out www.NorthernGilaCountyFair.com or Northern Gila County Fair on Facebook. We had my daughter and brother-in-law (hubby’s brother) over on Christmas Eve for our Christmas feast. As usual, I cooked way too much food. The duck was delicious and the company was great. We played both Chicken Foot and a game new to me, Sequence. There was a lot of trash talk and laughter. Good times. The daughter brought her hamster with her as no one was home to take care of it. We had fun watching the little critter in her hamster ball roam all over the house checking things out. Daughter shared her art. The pic at the top is one of her drawings. We think she’s awesome. How about you? LOL! Writing is going. Even though it was Christmas week, I managed over 6000 words on my November NaNo novel, Zoe Ohale. I’ve got about six scenes to go and I’ll be close to 65,000 words on the work when I’ve finished the first draft. After that is done and put away to rest awhile, I’ll pick up July’s Mystery in the Woods. At this point I’ll have to read the whole thing through to figure out where I left off and what else has to be done. That story was an experiment in NOT plotting. This is where it has led me, down a rabbit hole. No matter. I’ll get it back to active status and finish it up. I’m planning on being at a Mystery Convention in Scottsdale the beginning of June and want to have it there for sale. So, I’d better get writing. Santa’s Authors Christmas 2015 Giveaway also known as the Winter Wonderland of Books Christmas Giveaway has been extended to run until midnight, January 1st. (midnight after New Year’s eve) Here’s the link through my website: https://conniesrandomthoughts.com/giveaways-and-prizes/. Fifty authors have put up all kinds of prizes from books to jewelry to Amazon gift cards. Go ahead and log in. You’ll find links to all of the supporting author’s social media. Click on a link, enter to win. The more links you click, the better your chance of winning. The grand prize is $200 of Paypal cash, good anywhere on the planet. I’ve put up the two signed paperback books in my Brown Rain series as my main prize. I also put up my Christmas Tales book (signed, of course) as a second prize. Good luck! Thanks for participating. This is the time of year for me to look back at 2015 and think about what I want to do for 2016 at least as far as my writing goes. Do you do that in your life or job? I find it helpful to have a goal to shoot for. I did a blog post on this in my December 18th post. Click here to see how I did in 2015. I think my main goal in 2016 is to not only write and publish but to expand my reader base. I have 13 books out now plus stories in four different anthologies. I’ll be able to put out at least three books in 2016, perhaps more. Do you recommend my books you’ve read to other readers? Do you write reviews for my books that you’ve read on Amazon, Goodreads or the site where you purchased the book or books? Those are some of the ways a reader can help out an author. What is your suggestion for bringing more readers to my books? I hope you had a productive and happy year. I wish you all the best with your goals for 2016. 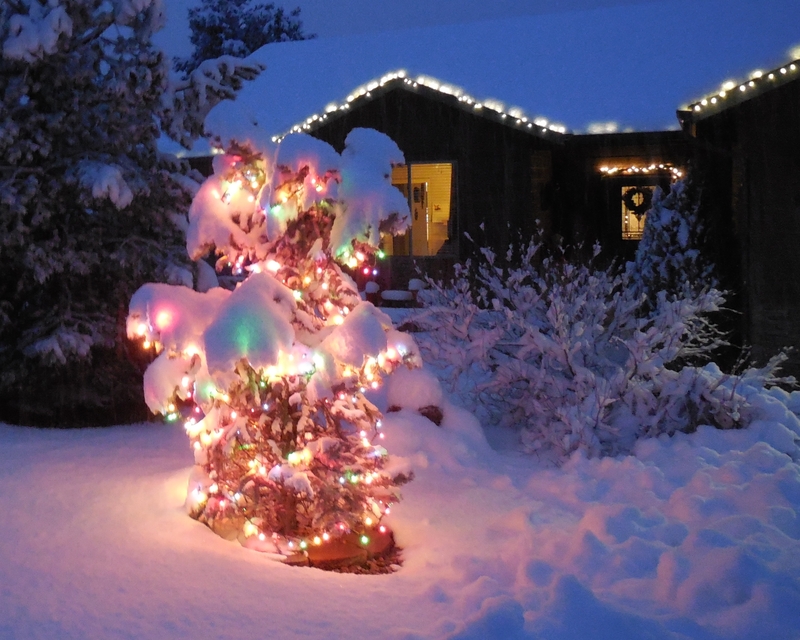 I published my December newsletter. Did you miss it? Click here to sign up for my newsletter. I make special offers to my newsletter people that I do not make on the website blog posts. If you like the content, please encourage your friends to sign up, the newsletter is sharable, send it to whomever you think will like it. Don’t delay signing up. You’ve already missed out on two great offers. The January newsletter is coming out soon. Sign up now so you don’t miss out. Mystery at the Fair released July 15th! I’m pretty excited about it. You can buy it and my other books at: Apple, Amazon, Barnes and Noble, Kobo, Smashwords , Gumroads or Chatebooks today! You can also see all of my books on www.ConniesRandomThoughts.com. If you’ve read any of my books, please drop a review on the site where you bought it or on Goodreads. It’s a big help to me in the book rankings each vendor uses to promote the books on their sites. Thanks in advance. Update on the new website: managed to get a follow button posted so you all can receive the blog posts. That has been a major headache for me but I’ve finally figured it out. It’s now the top thing on the right-hand side of the home page. After that is the follow buttons for other social media. Don’t be shy! Go ahead, follow me on those as well! I picked peaches from my tree on Saturday. There are some left, hard to get to. I’ve decided the birds can have those. Also on Saturday I picked a good number of cherry tomatoes, several cantaloupe, two zucchini which have gotten too big, and one New Mexico chili still green. The chili received full sun and had some sun scald so I decided not to wait for it to turn red but to pick and use it on tonight’s dinner. I put the cherry tomatoes in a bowl on the counter. We all love to go over there when we’re trolling the kitchen and grab a handful to snack on. Yummy. Author Friend Boost! D’Elen McClain. She has just released her newest book, Dragons Live for Ever. Here’s a description. I have been checking out the indie publishing site Draft 2 Digital. 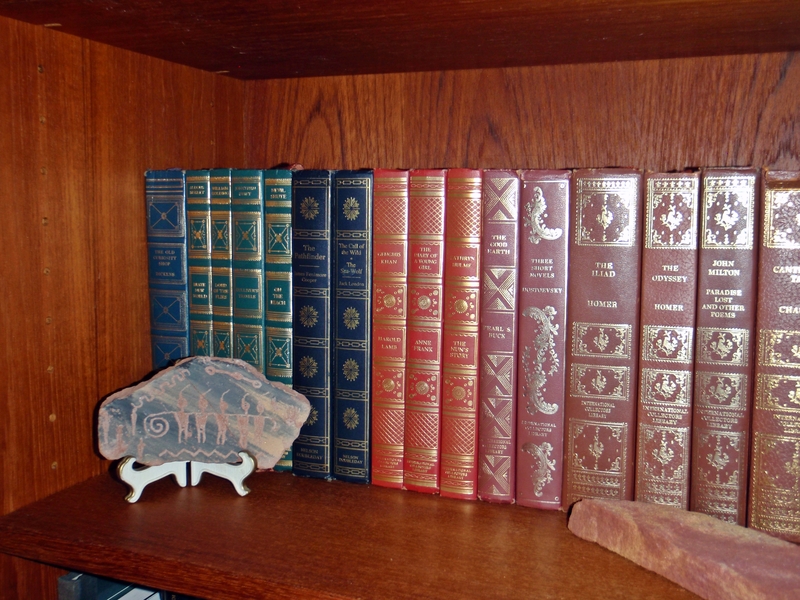 A site that helps put an author’s manuscript up on electronic book sales sites. I may try it for my next book. It looks helpful and a good many other authors have recommended it highly. As a reader, you probably won’t notice anything different but for me, the reduction of formatting time will be a tremendous thing. 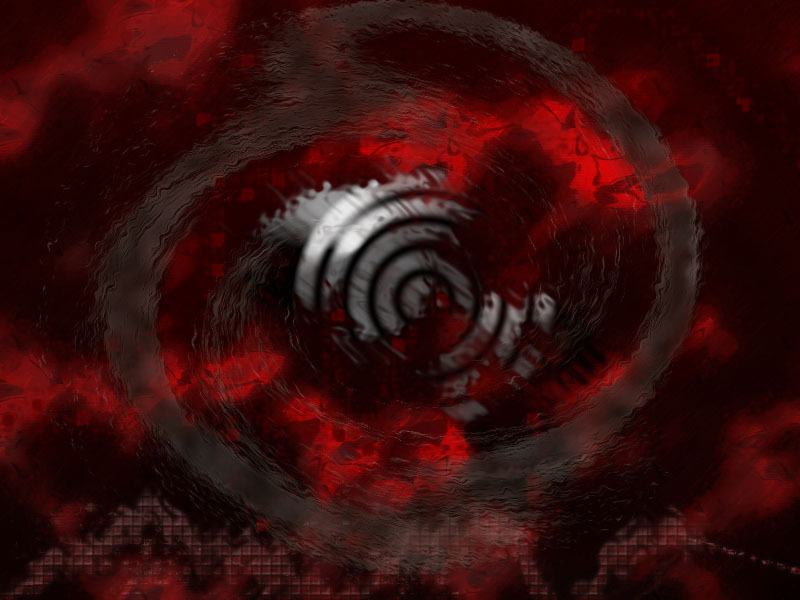 Betrayal Moon for the Forward Motion anthology is at the editors. I should hear from them this week. The deadline for that story is September 1st and I’m close to that now. I finished turning Gold Dream into a short story. I’ve been letting it simmer for a week to give myself some perspective before I start my first edit/rewrite pass. I have a limited number of words to work with, 8,000, and the story is nearly at the limit so I’ll have to be careful with my edits. That deadline is September 15th so I need to get in gear on this one too. This week I’ve gone back to writing Mystery in the Woods, the second book in the Jean Hays series that I started in July. I managed nearly 4,000 words on it this week and have enjoyed getting back into that story. I’m totally up on conniesrandomthoughts.com. I’ve put a notice up on my wordpress blog so my readers can find me. Be sure to follow me at my new website. I’ve stopped posting to the wordpress site (www.conniesrandomthoughts.wordpress.com) after Friday August 7th. I put a special offer up in my July newsletter. Did you miss it? Click here to sign up for my newsletter. I make special offers to my newsletter people that I do not make on the website blogs. I moved to Arizona in July of 2010 from upstate New York. My hubby and I love it here. So much so that we haven’t been back to visit friends and family in the five years we’ve been here. So this year we’ve decided to go back to NY and visit. Since I’ll be in my hometown, I thought it would be cool to do a book signing. I contacted the Mohawk Harvest Co-op on Main St. in Gloversville and spoke with Chris, the manager of the co-op. He’s all for my doing a book signing at his store! So on October 10th, 10am – noon, I’ll be at the Mohawk Harvest Co-operative Market, 30 N. Main St., Gloversville NY. Come on by, get some wonderful food and chat with me. Uh oh, you caught me. I’ll have to confess that I don’t know about online reader communities. I should, as an author, have a whole list of reader communities that read my genre’s books but I don’t. I do use Goodreads. I have an author page there, https://www.goodreads.com/author/show/7033046.Connie_Cockrell but don’t use it much. I do make sure that I have my books listed there. I opened the Ask the Author function but only one person has sent me a question. My site blog post is woefully old and I had nothing in my Upcoming Events section. I just changed that to reflect the local Book Festival in July. One other reader site I do use is Wattpad. http://www.wattpad.com/user/conniecockrell And by use, I mean I post there. I have a story, Lost Rainbows, currently being posted as a serial, one chapter per week. Unfortunately, I don’t join any discussions and have little time to read posted work, despite the fact it appears interesting. You’ll note a pattern here, of course. As an author, I get the most value out of a reader site if I’m an active participant. Posting what I’m doing on my page and disappearing isn’t very helpful if my true goal is to get readers to find me and my work. And I’m missing out on wonderful stories and the chance to meet other people who love to read. OK, I promise to do better. Really. We’re trimming up around the yard. Last week hubby trimmed some diseased branches from a tree in the back yard and took out a tree that was growing too close to another and leaning over the house. The fact that it was a juniper with a pollen pod on the end of each needle and spewing pollen all over the place was an added bonus. I have managed to get 4 of the 12 rosebushes trimmed and did another run of pulling mint out of my deepest square foot garden bed. Onion and parsley I planted last November are coming up. A bonus, a peach pit that had been composted, sprouted in another of my garden beds. I thought it was a weed at first until I realized the pit was still attached. It has transplanted nicely into a small container where I will try and keep it alive. A friend gave me a small container of mystery tomato seedlings, just getting their first set of new leaves. She had no idea which seedlings were which and at this stage they’re pretty hard to differentiate. 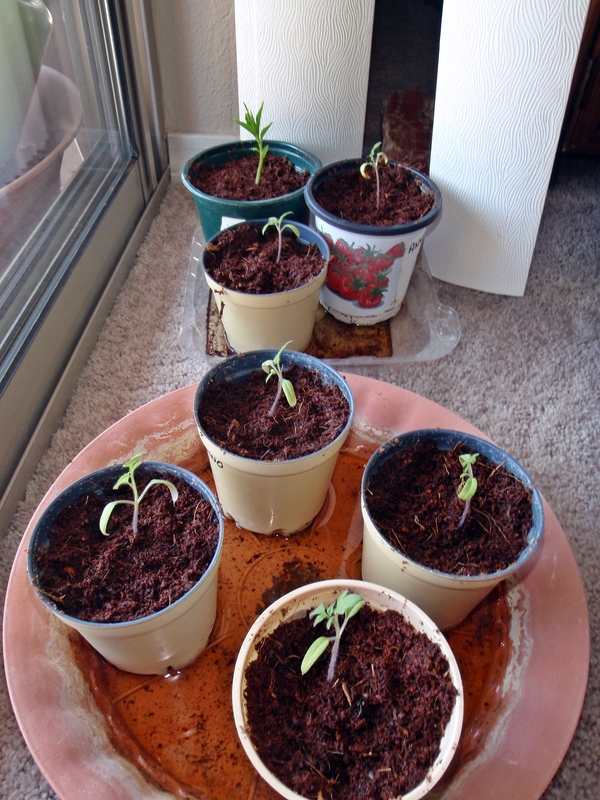 However, I selected six seedlings at random spots in the container, hoping I get six different tomato plants. I’ve passed the seedlings on to another friend. There’s no sense in us buying seedlings when we have free ones available. My book signing on March 21st at the Scoops Ice Cream store here in Payson was slightly disappointing. However, I did sell 3 books and garnered 3 sign-ups for my newsletter. My mom came with me and we had a chance for a nice chat. The month has progressed quickly. I can’t believe it’s already the 23rd. I’ve prepped my scene cards for April’s Camp NaNo. I’m starting it with the 3rd book in my Brown Rain series. Then I’ll move on to cleaning up random stories I have started but not finished. The Payson Book Festival planning is moving right along. You can see the information on www.PaysonBookFestival.org if you’d like. Kick-off pricing on author tables is now over. There’s still time to sign up for a table, though. You can share a table, too, to make your costs less. Fill out the Author Registration and get that in to us so we can reserve you a table. Author registration closes at the end of April so we can put the program together. You’re not an author? Then mark your calendar to come to Payson for July 25th to meet us. We’d love to chat with you. I submitted my short story, After Math, for line editing. I’m looking forward to getting it out to emagazines. Here are the major writing things I want to accomplish in 2015. – Submit short stories to contests on a schedule I’m developing. I know, it looks a bit overwhelming. I didn’t talk about continuing to produce a flash story every Friday for my blog, or any personal stuff like travel, gardening, projects, volunteer work, you know, life stuff. All of that has to be done as well. Goals help me plot out a work/life balance. If I see I’ve really scheduled a lot of writing stuff, I can back out on the plan at the beginning of the year and cut myself and my hubby some slack for running off and going camping or travelling. What do you do to plan out your year? Just take it as it comes or jot down some things you’d like to accomplish? Go ahead and share in the comments. I’d love to hear from you. I’m in full Christmas swing. The outside decorations are up and have been since the 1st. I like to send candy and cookies to family and they need to be in the mail soon! 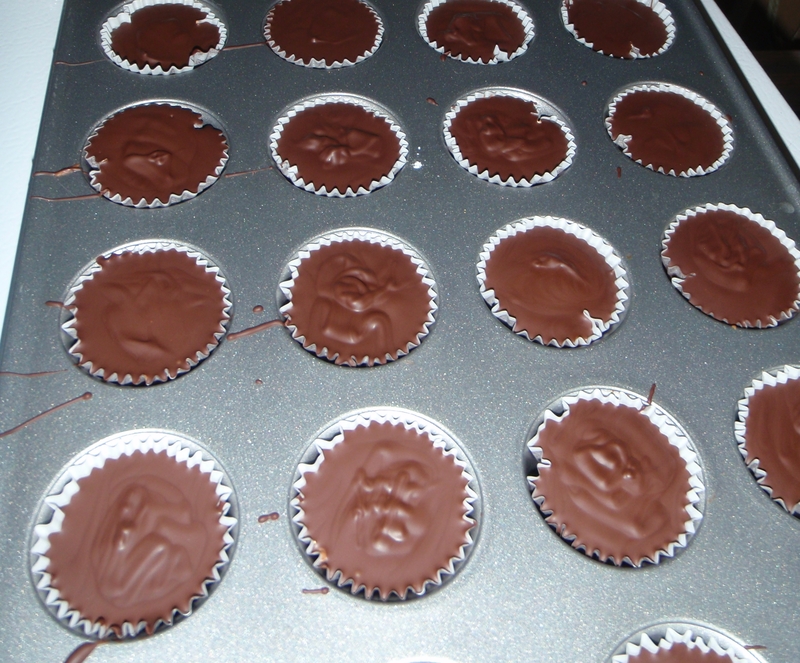 So, I’ve made peppermint patties, peanut butter cups and truffles. Today I’ll make the cookies. They’re my daughter’s favorite and go by a few different names depending on your cook book. They’re snowballs or Mexican Wedding Cakes or Russian Tea Cakes. They’re easy to make, ship well and are very tasty. I’m hoping to get them in the mail by Wednesday. The garden has to wait so I can get the candy mailed out. It looks so sad out there. I promise, poor garden, that I’ll get you cleaned up soon. 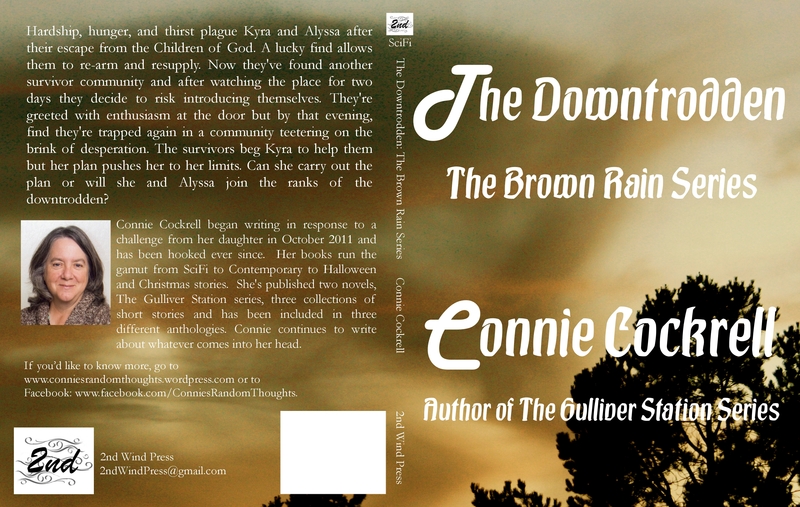 My book, The Downtrodden, book two of the Brown Rain series is up on Smashwords and it’s up on Amazon, Apple and Barnes and Noble. I’ve just put it on Kobo as well. All of the links are below. I’m still featuring a special for newsletter recipients. Sign up for my newsletter and tell me you’d like to do a review and I’ll send you a free ebook. Go to the button on the right side of the blog or go to my Newsletter tab to sign up. Or sign up here. Use Control, Click to access the link. If you’re already a newsletter recipient and you’d like to review a copy, drop me a comment or an email and I’ll send you the secret code! I have moved the loveseat into the garage so there’s room for the Christmas tree. I still need to get all of the totes full of interior decorations down from the garage shelves and into the house. Right after I get the candy mailed. I’ve been talking to my Mom nearly every day. We’ve painted her room a light lavender, hung the curtains, and shampooed the carpet. I’ll paint the chest of drawers I got for her today and we still need to get her bed assembled. It arrived a few days ago. Eight days to go! I talked to my daughter today. She lives in Flagstaff, AZ. With any kind of luck she’ll be able to come here for Christmas. That will be good. I won’t have to mail her gifts. She’ll be here to open them. I’m standing by for further developments.